Beautiful Vienna is the perfect introduction to your wonderful journey down the Danube. Tour the Austrian capital's main attractions, before enjoying a guided tour of quirky Budapest. Sail to the Hungarian-Croatian border to Pécs, marvelling at its renowned architecture, and join a local Croatian family for lunch in their home, while in Osijek. In northern Serbia, Novi Sad is home to the 17th century Petrovaradin Fortress, and Belgrade promises an insight into some of Serbia's hidden gems. 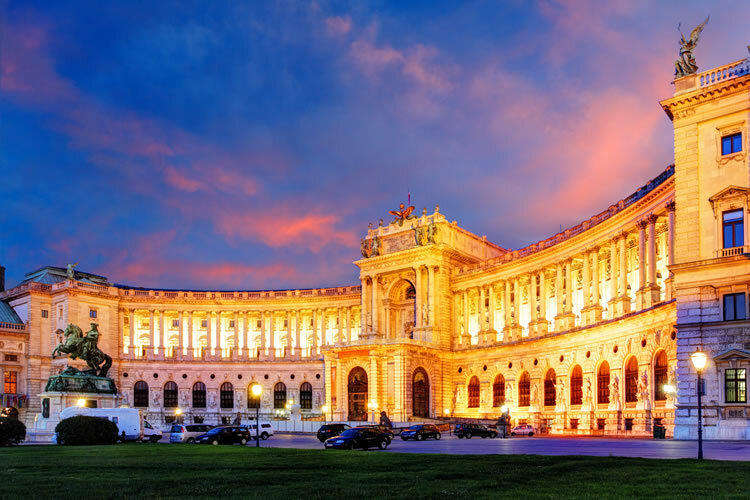 Today you have a choice of either exploring Austria’s capital beginning with a drive along the magnificent Ringstrasse, where we will see Vienna’s world-famous Opera House, Burgtheatre, Spanish Riding School, Town Hall, St. Stephen’s Cathedral and the Hofburg Imperial Palace. If you feel active, join the guided bike tour instead of the drive around and guided walk. Today you will sail to the Hungarian border with Croatia to visit the picturesque town of Pecs. This town was founded by the Romans and it is known for its architectural landmarks such as the Early Christian Mausoleum, which features frescoed tombsm, the Vast Pécs Cathedral towers over central Szent István Square and the domed Mosque of Pasha Gazi Kasim. Novi Sad located northeast of Serbia, is consider a hidden gem on the banks of the Danube River. One of the main attractions, standing atop a riverside bluff, the Petrovaradin Fortress dates to the 17th and 18th centuries, with an iconic clock tower and a network of tunnels. Across the river is the old quarter, Stari Grad, site of the Gothic Revival Name of Mary Church and the neo-Renaissance City Hall. 6 Shore excursions, including visits to several UNESCO World Heritage Sites.